Why aren't page borders printing? 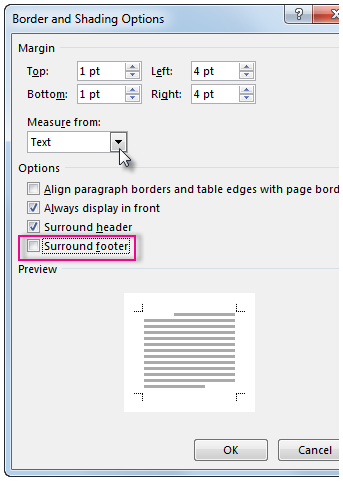 There are a couple of ways to figure that out so that you can adjust your margins accordingly before you print (thereby skipping the angst). 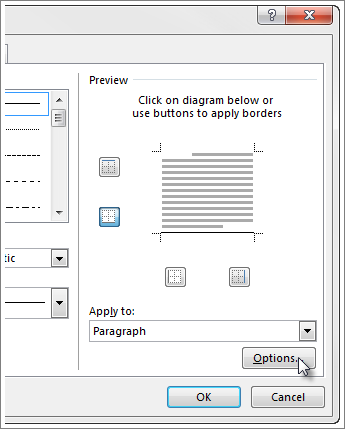 In the Borders and Shading dialog box, click Options. 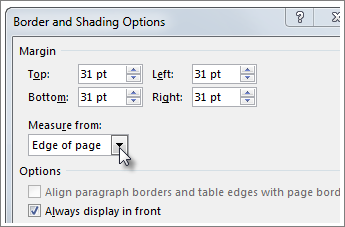 In the Borders and Shading Options dialog box, make sure that Edge of page is selected from the Measure from drop-down. The highest number it can be is 31. You can also select Text from the Measure from drop-down and view how it will look in the preview below. If, for some reason, your bottom border isn’t printing, make sure, that in that Borders and Shading Options box that Surround footer is unchecked.